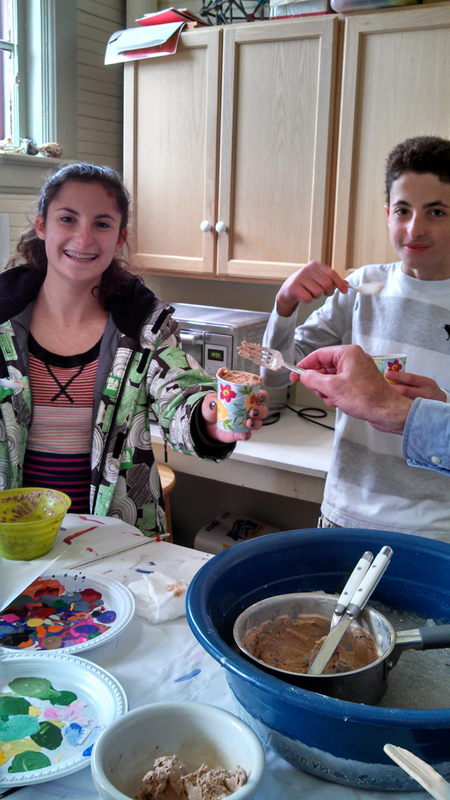 Science instructor Peter Duveen and Tutorial Center enrichment students Ema and Alex learn how to make the best use of dirty snow – use it to make ice cream! I would like to say that adding chocolate flavoring (hot chocolate mix) was Emma’s and Alex’s idea, and an excellent one at that. 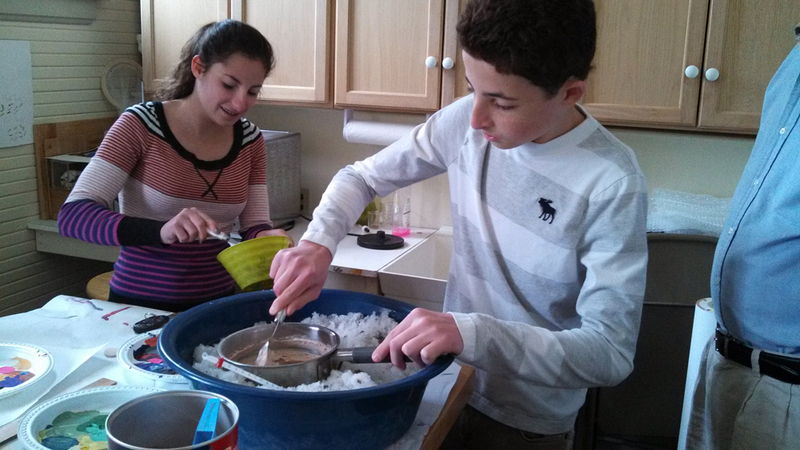 It is also worth mentioning that the “dirty snow” does not actually enter into the ice cream recipe. 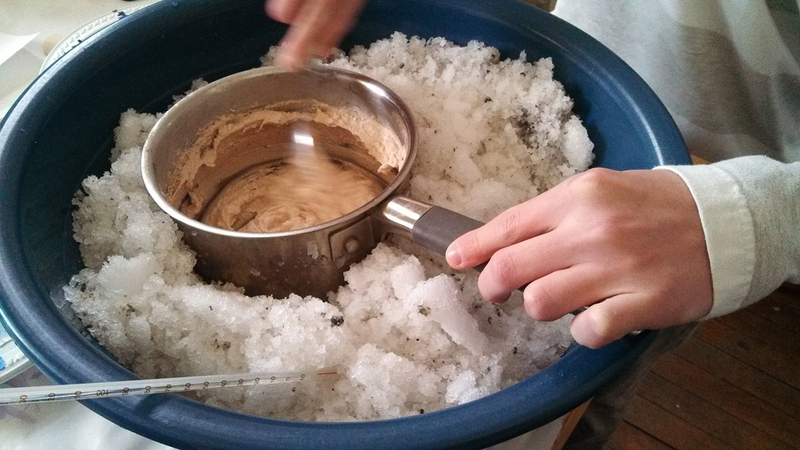 It is used merely to mix with salt and lower the temperature of the pot in which the ingredients for the ice cream are mixed. The dirty snow never comes into contact with the ice cream. Why dirty snow? Because that was the only snow that was available at the time, and it certainly does the trick! We achieved temperatures of approximately twenty below zero Celsius.